Hi All, I hope everyone is well. 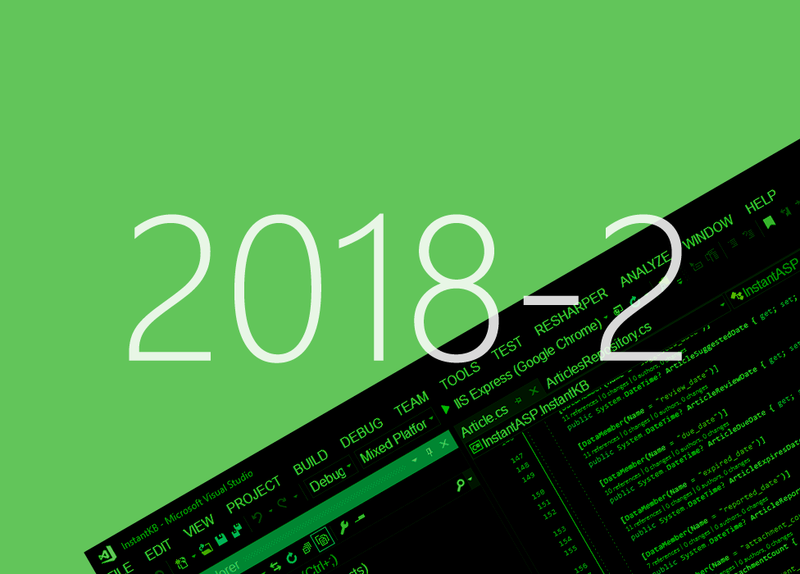 We are delighted to announce today the release of our InstantKB 2018-2 update. This is a maintenance update which aims to address some important issues discovered since our 2018-1 update and improve the experience for developers when working with and deploying InstantKB via Visual Studio 2017. As always we hope you benefit from the fixes and updates within this release. We would be delighted to assist with any upgrade questions, issues or concerns. Of course if we can assist please never hesitate to submit a support ticket or contact us. We look forward to assisting further and sharing further news on our next generation .NET core version of InstantKB in the near future.